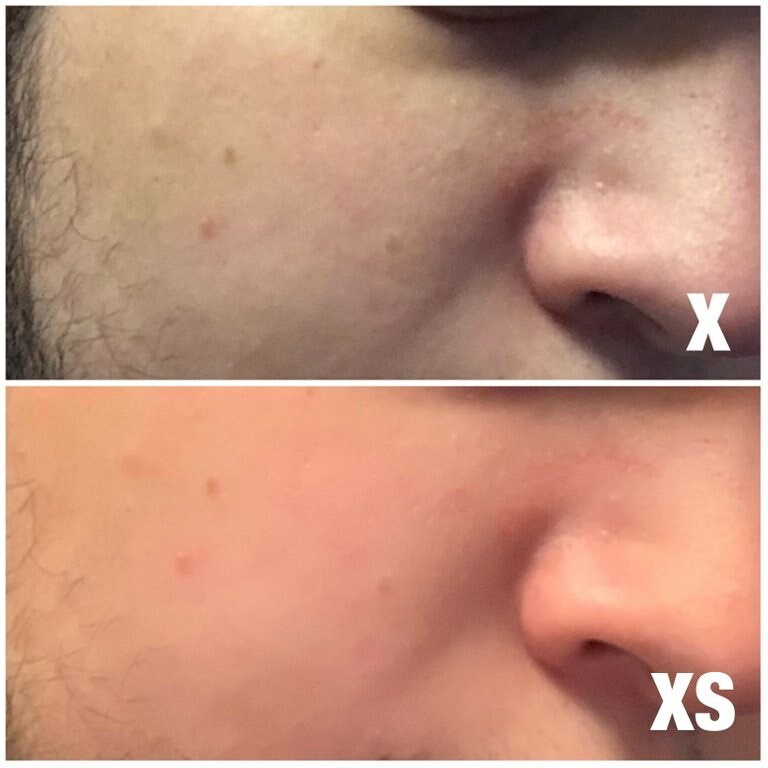 Sebastiaan de With, the developer behind photography app Halide, has taken an in-depth look at the front and rear-facing cameras in the iPhone XS and XS Max, providing some insight into complaints about a possible skin smoothing "beauty mode" that results in less realistic selfies than prior iPhone models. A soft filter on selfies "doesn't exist," says de With, with the smoother look attributed to more aggressive noise reduction techniques and the merging of exposures that eliminates sharp light and dark contrasts where light hits the skin. 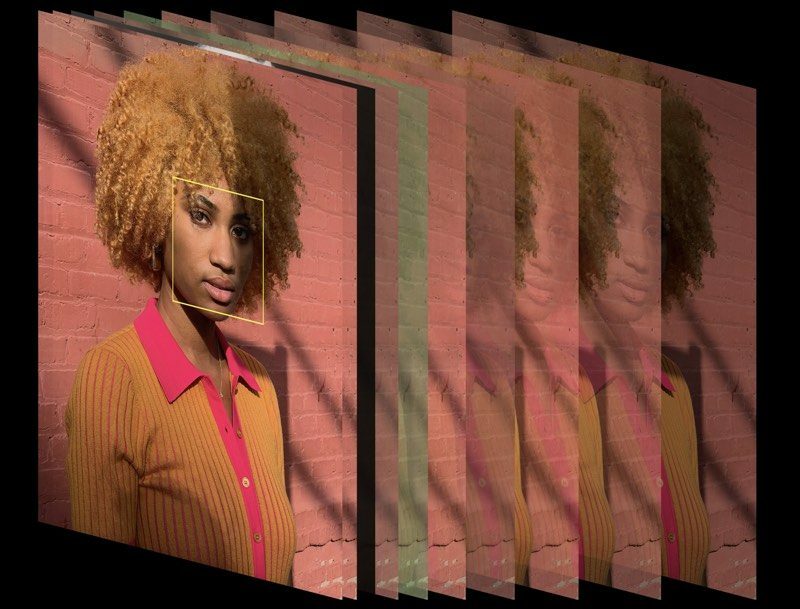 Both the front and rear-facing cameras in the iPhone XS and XS Max are using computational geography to improve photo quality, a feature that takes multiple shots at once and then merges them into a single perfect photo. Apple's iPhone XS website explains all of the different things that are going on behind the scenes when an image is captured, and part of the process involves taking shots that are underexposed, overexposed, and captured at different times, with the camera taking the best elements of each shot and combining them. According to de With, this results in a "whole new look" for photos that represents a "drastic departure" from images captured with previous-generation iPhones. 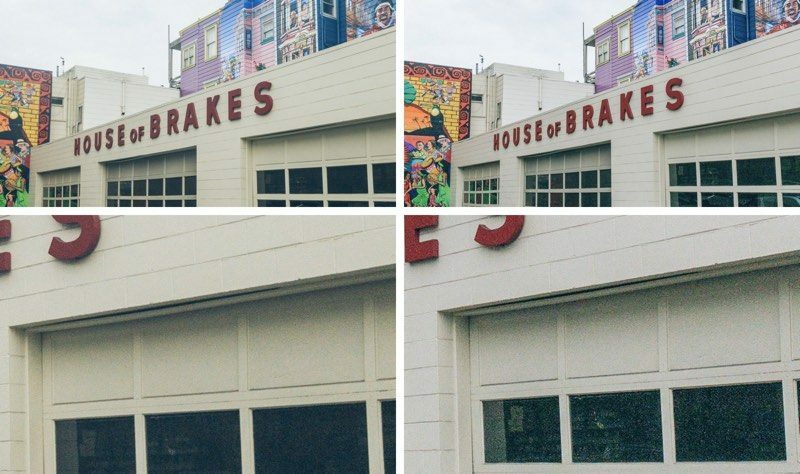 As the Halide blog post explains, the small areas of contrast seen in photos from older iPhones can make images look sharper, but these areas of deep contrast have been eliminated in the iPhone XS models. Using the exposure merging techniques, the iPhone XS reduces the brightness of the bright areas and the darkness of the shadows. While the detail is still there, we see it as less sharp because of this loss of contrast. Skin ends up looking smoother because the "light isn't as harsh." The iPhone XS and XS Max are also using much more aggressive noise reduction techniques than in previous iPhones. de With says this is because the iPhone XS models prefer a faster shutter speed and a higher ISO level, capturing photos quicker but resulting in more noise. Taking care of that noise sacrifices some detail and contrast. In the front-facing camera specifically, which uses a smaller sensor than the rear-facing camera, the heavy noise reduction paired with the image merging techniques leads to the noticeably smoother selfies that people have seen with the iPhone XS camera. According to de With, Apple can tweak these settings through software updates if the majority of people are unhappy with the selfie camera, so we may see a better compromise between noise reduction and the filtering of harsh lighting in the future. All in all, de With believes the iPhone XS camera is better than the iPhone X camera thanks to its superior dynamic range, with some post processing able to re-add the contrast where necessary. There are issues with RAW image capture because of the noise level. When taking RAW photos with an app like Halide, de With says it is a must to do so manually and to reduce the exposure. Otherwise, RAW images will end up looking worse than Smart HDR JPEGs. To account for the changes to RAW image capture, Halide is gaining a new Smart RAW feature that uses the new sensor tech in the iPhone XS to get better images. It avoids Smart HDR all together to cut down on noise reduction and pull out more detail. Complete bs. U can say as many fancy words as u like, anyone with at least one brain cell should understand that these new phones sacrifice massive amounts of detail in exchange for an unnatural look to please 12 year old Instagramers. Ok prove it then. List all the evidence. We can wait. Apple is using the Bionic processor’s 600 billion operations per second to turn your photos into noise-reduction watercolor paintings. It's the same principle as having your portrait taken by a professional photographer in a studio vs. some guy on Groupon. It looks better because it is better. It handles the light better. Halide's full blog post ('https://blog.halide.cam/iphone-xs-why-its-a-whole-new-camera-ddf9780d714c') is well worth a read for anyone interested in an in-depth look at the camera changes Apple has introduced in the iPhone XS and XS Max. The Halide app can be downloaded from the App Store for $5.99. So, long story short, this is an ad. This is silly. Anyone obsessing this much over their selfies is the exact market segment that Apple is trying to pacify with the "beauty filter"
Seems like a great empirical examination of the XS's processes. Good work, de With! It’s really not about skin smoothing. It’s about not getting the image you shoot for. Calling it noise reduction or beauty mode really doesn’t matter. It processes the images too much. The article criticizes people for complaining about too much smoothing, but then goes on to make the same conclusion that the iPhone XS / Max camera is being noticeably more aggressive with noise reduction. News flash, that was most people's complaint in the first place: Too much noise reduction.